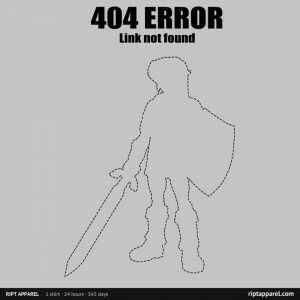 Exclusive “404 Link Not Found” Offer on Ript, TODAY ONLY! Think fast, my Zelda Dungeon friends! Ript Apparel has a one-day-only exclusive Zelda shirt available right now! This is your chance to snag a sweet one of a kind shirt, but it’s only available until 12:00 CST tonight so act quickly! Even if shirts aren’t your thing there are other items with this design available. Jump inside for details on how to snag these limited items. 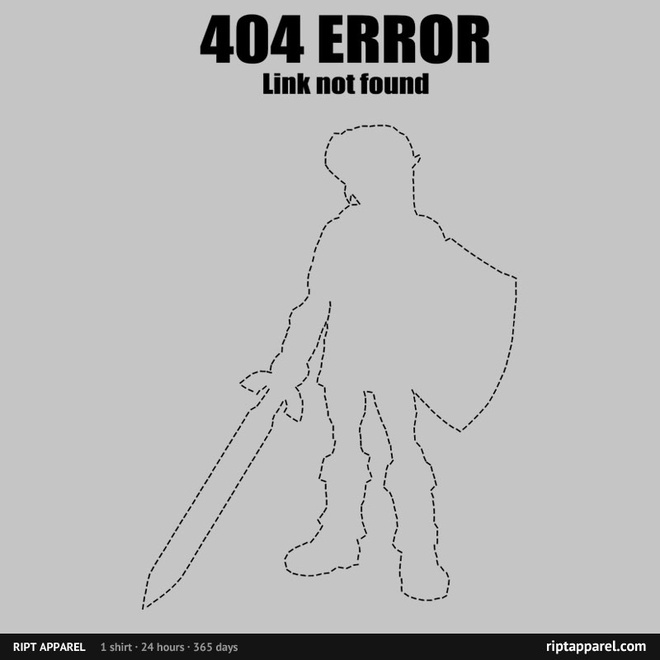 As you can see, the design features an empty outline of Link with the caption “404 Error: Link Not Found,” making another fun internet pun with Link’s name. The shirt is available for $10 but that’s not your only option. You can also buy drink coasters ($25), hoodies ($38), prints ($20), baby onesies ($18), kids’ shirts ($15), and iPhone cases ($18) with the clever design on them. This is only available for less than eight more hours, so if you want one head on over to Ript to buy yours now before it’s too late!